We have been saying for years to bring the technology back into the meeting room, the right way. Stop the browsing and e-mail reading and see the presentation up close and personal. Create an immersive presentation to fully engage your audience. 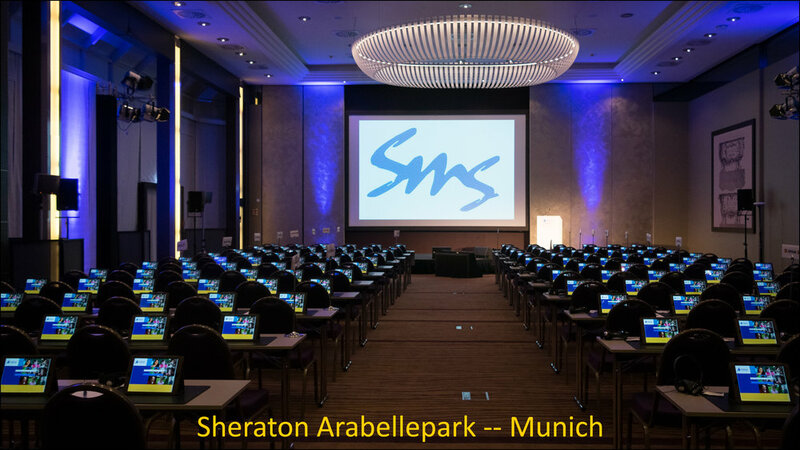 Second Screen live meeting technology optimizes information exchange and ensures analytic-driven improvement over time our your conferences, seminars, keynotes, and sales meetings. 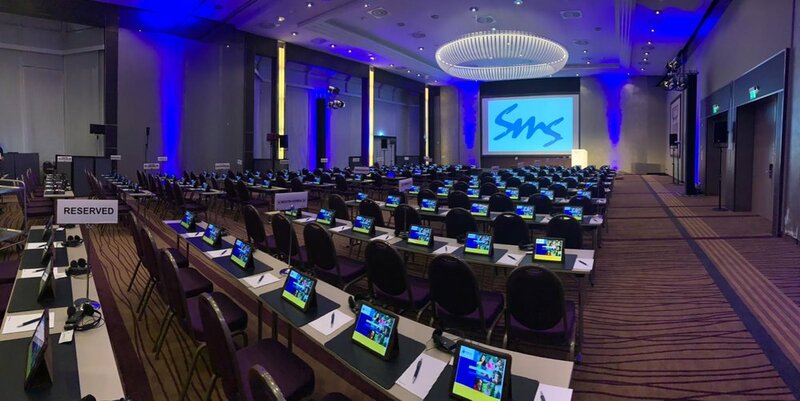 Our partner deploys the Second Screen service on the latest Apple iPad technology for meetings of all sizes. The application has been tested many times over and proven reliable. With over 6,000 events under their belt and over 1 million participants, their team of experts walk you through the entire meeting life cycle. Prepare presenters and faculty for use of Second Screen in advance and encourage inclusion of questions, polls and tracking incoming questions. Advise presenters to identify key information within their presentations both verbally and with some notification on slides to ensure that this catches the participants’ attention. Consider providing some key/summary information or resources in multiple languages, which is facilitated by Second Screen, for the international attendees. Mandatory sign-in for all participants on the iPads may replace (or at the least verify) the paper sign-in sheets outside the room, which required active follow up by the meeting staff. Requiring sign-in and active participation will provide evidence of attendance and active engagement throughout the event. Require all participants to respond to all polling or ARS questions – this would provide an individual training record for each participant. Those who did not complete or failed to achieve a satisfactory response rate may be easily identified for follow up where appropriate. Consider placing questions at the beginning and repeating at the end of critical sessions to track changes on knowledge or competence as a result of the content presentations. Providing brief case examples to assess skills in identifying adverse events or the ability to appropriately rate patient scans provides an opportunity for participants to practice these skills in a safe environment, with access to the subject matter experts on-site, for feedback and remediation, as required. Graded surveys and certificates may be provided after the educational event via Second Screen, providing individual training records. Post event review of all presenter questions submitted provides a record for potential follow up communications, postings or resources, which may support staff in execution of trial requirements. Creating teams based on site or country participation will encourage active engagement for workshops or similar breakout sessions. It is possible to break out participant data in this way in Second Screen data. Friendly competition encourages the teams to work together and supports the individual training experience in a fun way.